You’d think by now folks would know better than to run up on Rep. Alexandria Ocasio-Cortez, but alas they never learn. On Tuesday night, Fox News’ Laura Ingraham, and her guest of the moment Joe DiGenova, decided it would be fun to mock the young congresswoman for her name and based off her accent, claiming she was doing “Latina thing” whatever that means. “You notice when she introduces herself, does she take on that Obama, you know, Obama put on accents…” Ingraham told DiGenova on Tuesday’s episode of The Ingraham Angle. “She does the Latina thing where she does her, you know, ’Anastasio Ocasio-Cortez,” DiGenova agreed, putting on an exaggerated accent and butchering Ocasio-Cortez’s name while he was at it. “And I assume she’s going to love that when I do that,” he added after he was done. But again AOC is not the one to be trifled with, and so she swiftly bit into Ingraham and DiGenova’s mockery. 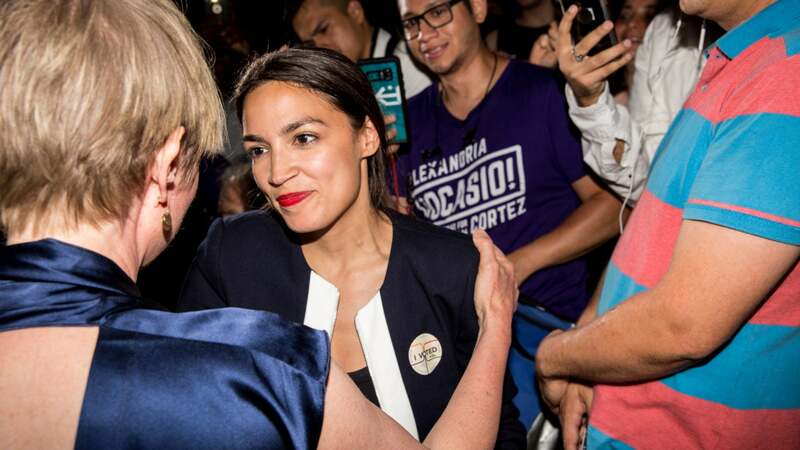 “If by ‘the Latina thing,’ she means I actually do the work instead of just talk about it, then yeah, I’m doing ‘the Latina thing.’” Ocasio-Cortez tweeted. Unless of course she‘s talking about being multilingual, which we know isn’t a ‘Latina thing.’ It’s a ‘21st century’ thing. But she didn’t stop there, launching a series of tweets, educating everyone on her name while not-so-subtly calling out Ingraham on her bigotry.